This model comes with 3 custom bushings to guarantee steadier fixation on the most popular motorbikes which handlebars are 0.875", 1", or 1.15" in diameter. You'll need a hex wrench to install the mount (it is included in the box). 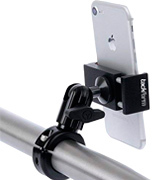 The Tackform cell phone mount is designed for bikers who appreciate fast speeds. 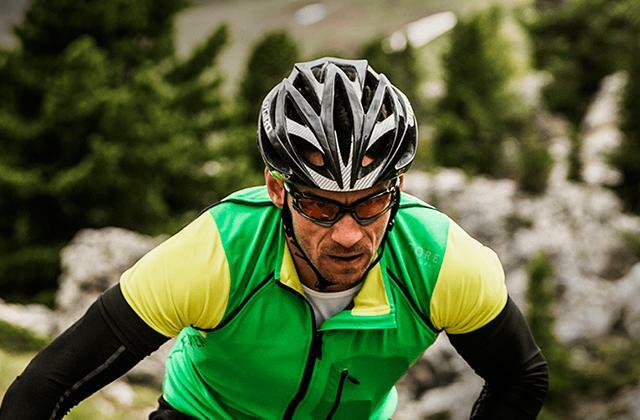 Being made from high-grade steel, it ensures your phone solid support on the road. 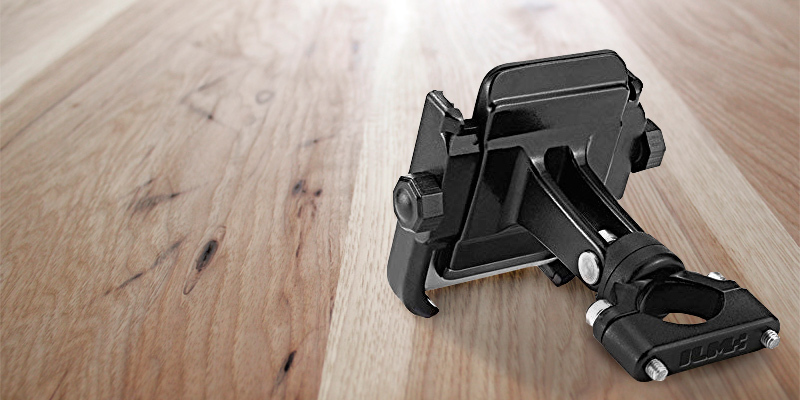 The universal X-Grip™ cradle has 4 legs to secure almost any gadget with 3.25" width or less. And the non-skid rubber coated tips allow for the best fixation. It doesn't fit the 1.25" handlebars and thicker. The RAM-B-149Z-UN7U has a well thought-out design that lets a user tilt the cradle for better visibility of the screen. Thus, you will see every pixel clearly in any light conditions. Thanks to a rubber coating of the grips, your phone is tightly secured in its place. 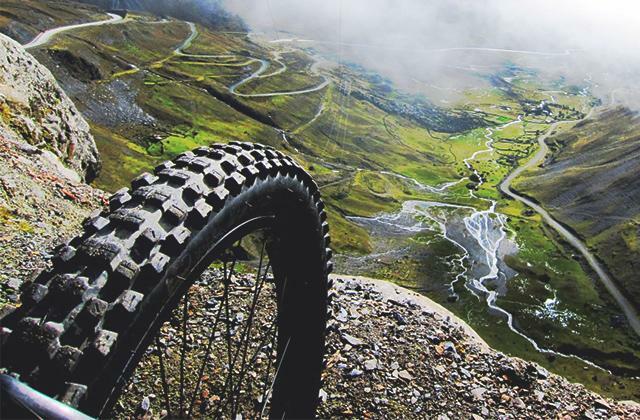 The result is minimal vibration even during the most extreme rides. The swiveling joint sits too tightly. 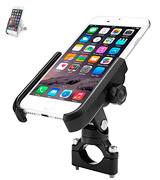 This Caw.Car Accessories mobile phone holder is specially designed for cruiser bikes or choppers which handlebars are often wider than 1.5". The cradle of this holder has the screw mechanism instead of the spring system. Despite it may take a bit longer to fix the cradle for the first time, the ILM mount holds a phone very tightly. There is no rubber tether in the box. If you are looking for a reasonably-priced phone mount that can keep your phone safe on the road, this model is a great choice. The silicone tether that comes in the box is made to last. It is suitable for quite a wide variety of smartphones including the latest iPhones like XR and XS Max. 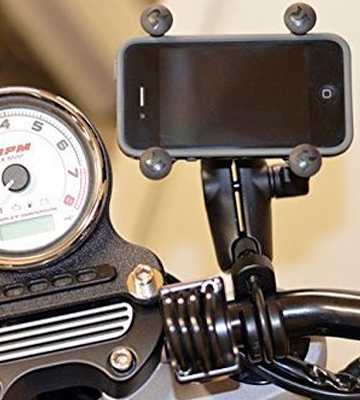 This motorcycle cell phone mount is a great solution for those bikers who drive safe. It is very durable and holds any phone or phablet very well. This phone cradle is spring loaded, which implies two things. For one, it can provide a strong grip for smartphones of different sizes, including (but not limited to) standard and plus-sized iPhones, LGs, Samsung Galaxy, and more. 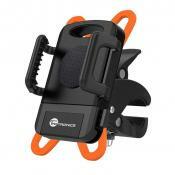 For two, it is very easy to place and remove a phone from the mount with a single hand. 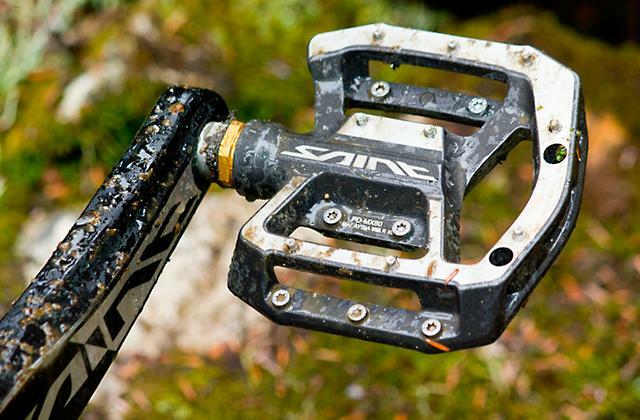 You may think such an “ease of use” makes the spring looser, but it’s not the case. Understanding that users might want to hedge their bets, the manufacturer has put a rubber tether in the box. By the way, the construction of the holder allows you to install your phone either in portrait or landscape modes. Handy, right? 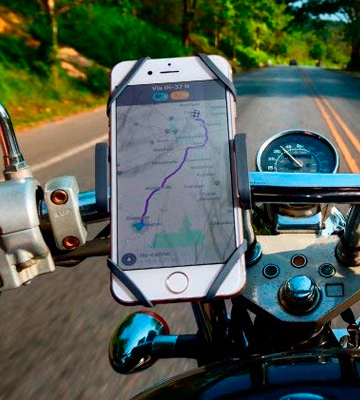 Overall, this is one of the best motorcycle cellphone mounts on the market because it has exactly what people expect from high-quality holders. 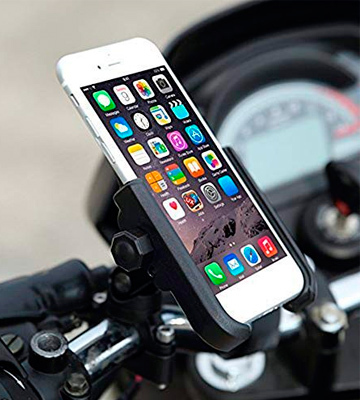 It is durable, holds a phone tightly, and looks awesome, whether you attach it on a Halley-Davidson or YAMAHA motorcycle. 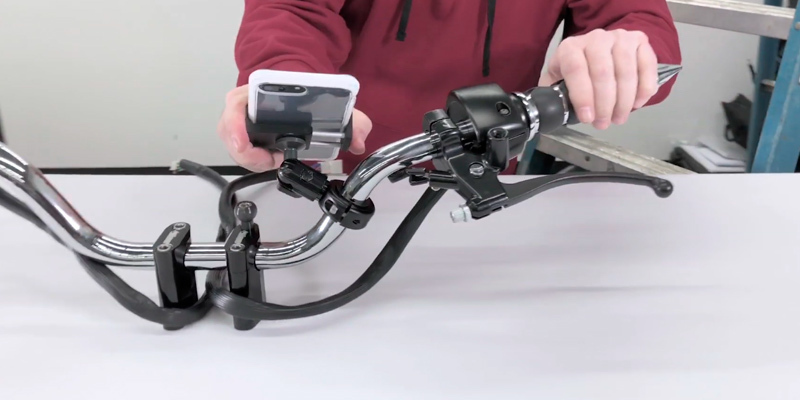 The RAM X-Grip phone mount is a well-made model from one of the leading companies producing high-grade mounting equipment. This product is not an exception. It is easy to install and it perfectly fits any gadget that is no wider than 3.25”. But in case you need it wider, you can opt for a larger mount that can hold devices up to 5.5” wide. 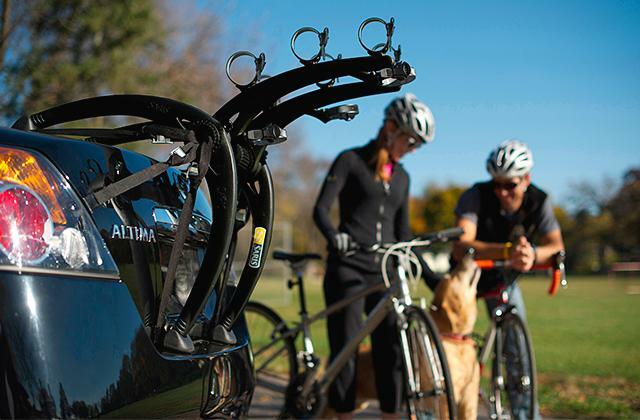 The tight fit of the RAM X-Grip is provided by a 4-leg stainless steel cradle. It is spring loaded and has rubber pads on each leg that hold a phone very snugly and do not obscure the screen. On the contrary, thanks to the patented socket system and the rubber ball that allows for 360° rotation, the RAM B-149Z-UN7U lets you pivot your phone in any direction so that you can find the perfect viewing angle and see every pixel clearly whatever the weather. As for the type of a rail you can attach this mount to, the RAM holder fits any bar from 0.50” to 1.25” in diameter. 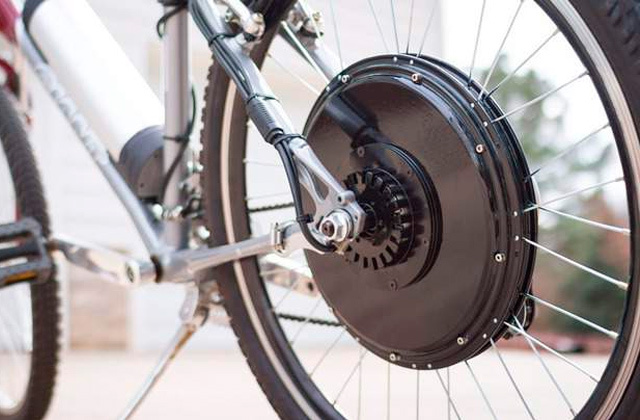 Thanks to the U-bolt design, it is simple to install. The zinc coating of the bolt guarantees its long service, while the rubber covering won’t let it scratch the bar. 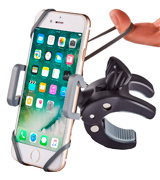 By the way, the manufacturer produces several types of clamps that you can buy additionally to mount your cell phone in your car as well. 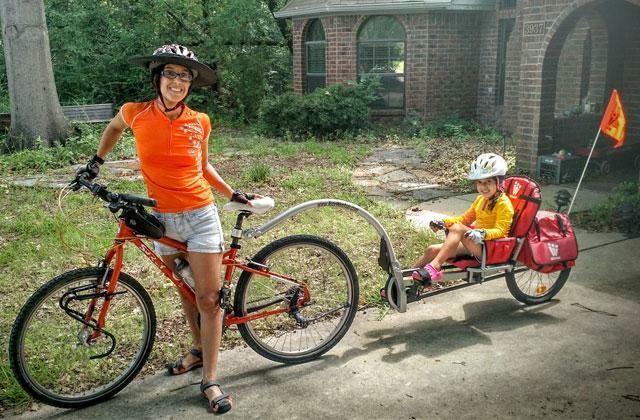 Without a doubt, this mount is a good choice for users who like versatility and fast rides! 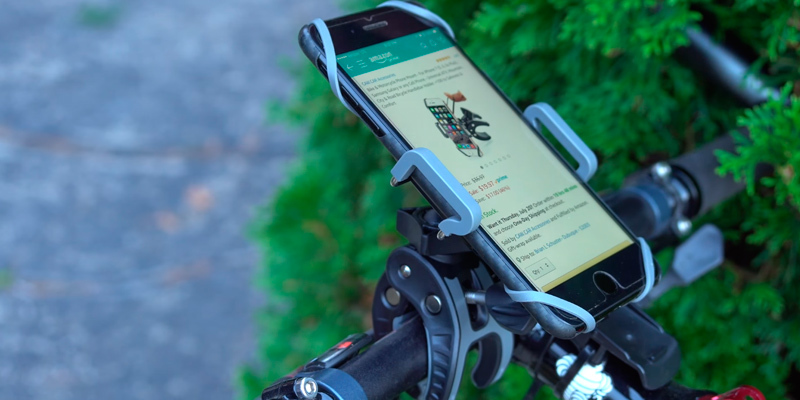 The CAW.CAR Accessories motorcycle cell phone mount is praised for its sturdy and universal design that enables you to install it almost on any motorbike, bicycle, or car. That is to say, its CrowFoot clamp fits any handlebar that is 0.2” - 1.9” in diameter, which makes it ideal both for a chopper or a cruiser bike alike. And in case you need to entertain your kids during a road trip, you can attach the mount to the tube of the head support in your car so that they can watch a movie. The best part is that you don’t even need a screwdriver to attach the mount. The process is so simple that you can adjust the clamp for the size of a tube and fix it with your eyes closed. Another thing that we like so much about this product is the excellent phone compatibility. 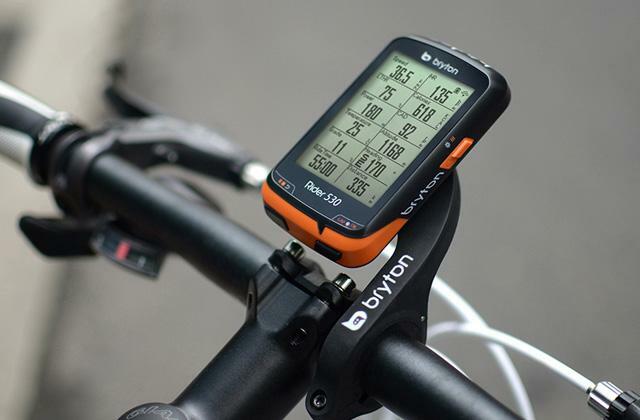 Although most mounts can carry quite a wide variety of gadgets, this model can suit larger devices up to 3.7” in width. It also has built-in silicone belts to grip a phone tighter and more securely. 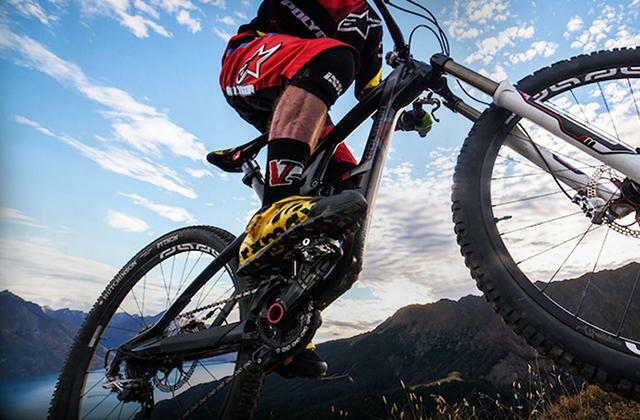 These belts keep a device steady even during the most extreme rides. 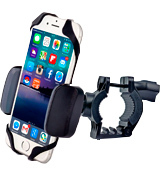 Well, the CAW.CAR Accessories motorcycle cell phone mount is one of those phone holders that can meet the expectations of any user who rides fast and needs something extra reliable. 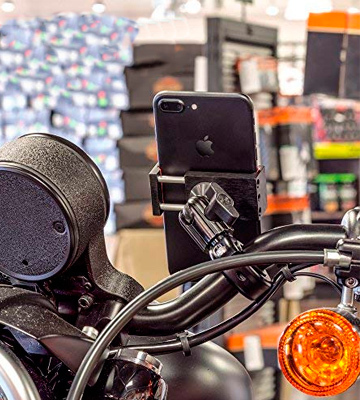 The ILM motorcycle phone mount is a very nice phone stand for those bikers who wish to get a solid product without breaking the bank. Being made of high-grade aluminum, this holder won’t fall apart after a few uses as it may happen with other cheap models. This adjustable phone bracket can hold the iPhone 6s Plus and higher as well as the Galaxy S7. In other words, if your smartphone or phablet is not wider than 3.7”, it will be safe with the ILM mount. The design of the cradle might seem odd at first glance because it has a screw mechanism instead of the spring system and two walls on both sides to hold a phone. However, in practice it's rather convenient. In order to secure your gadget, you need to loosen these screws, then widen the walls, place your phone between them and, in the end, tighten down the screws. 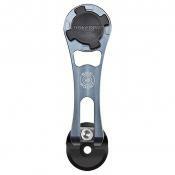 This ensures a tight grip, even tighter than that of spring-loaded cradles. It is also convenient to use. The mount supports 360° rotation and multi-adjustable viewing angles for better visibility while driving. 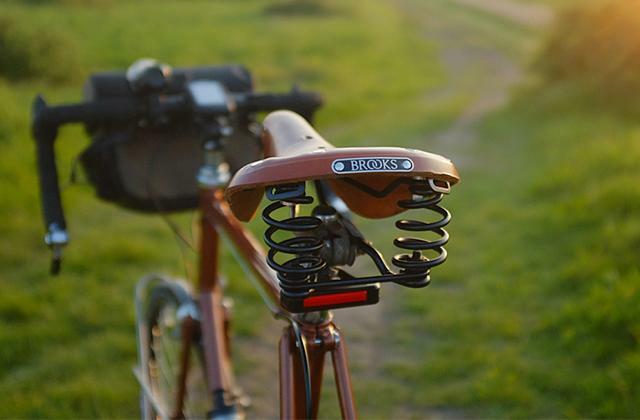 What we also like about this phone stand is that it goes well with any bike. 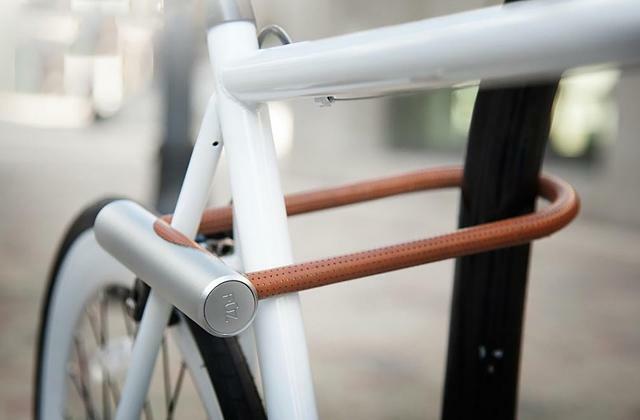 For one, it's available in silver and black color options so you can choose one that suits your bike better. 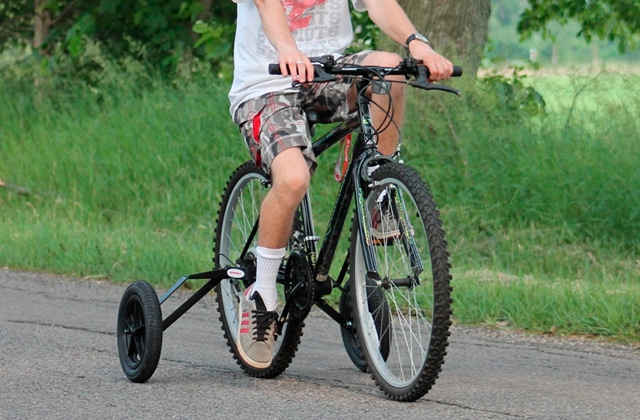 And for two, it's adjustable in width so it can fit a handlebar that is 3/4” - 1-3/8” in diameter. If it had a rubber tether, which it doesn't, unfortunately, it'd really have no flaws at all. However, even as is, it's certainly not a bad deal, especially for a mount that costs less $20. Though made of plastic, the CAW.CAR Accessories IP01111 phone mount is worth your attention. What makes this mount different is the quality of plastic, it's durable and heavy duty and can withstand any abuse of the road (some customers say that it can even survive a car accident, though we hope you never have one to find out). Let's take a closer look at this mount and see what makes it so popular. Like we said, the biggest advantage of the mount is durable plastic. Although it may be not unbreakable, you'll have hard time trying to break it. 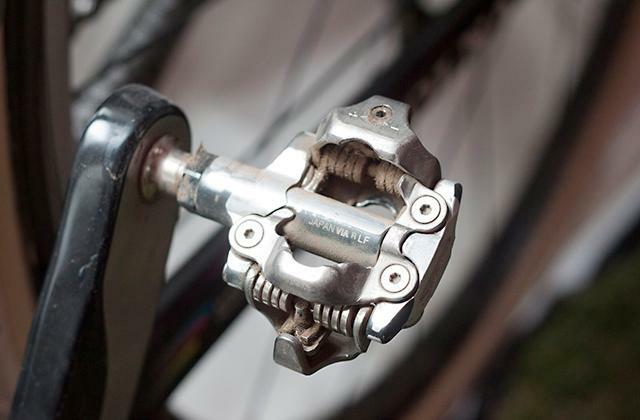 The bracket clamp has 4 adjustable sizes and rubber pads for a stronger grip. Another benefit is that this mount fits a great variety of handlebars up to 1.4” in diameter perfectly, which means you can install it not only on your motorcycle or bicycle but also in your car or even on the handle of a baby stroller for more comfortable walks. As for the holder itself, it has a shock-absorbing construction, a swivel that supports 360° rotation, and spring-loaded rubber grips for reliable fixation. This cell phone case fits any smartphone, iPhone and Android phone alike, up to 3.7’’ wide. 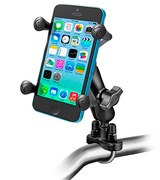 To reiterate our point, if you need a reliable and not expensive cell phone mount for your bike, the CAW.CAR Accessories IP01111 can be a good option. Made of high-quality plastic it is able to ensure the tightest grip of your gadget and keep it safe no matter what the road throws its way. 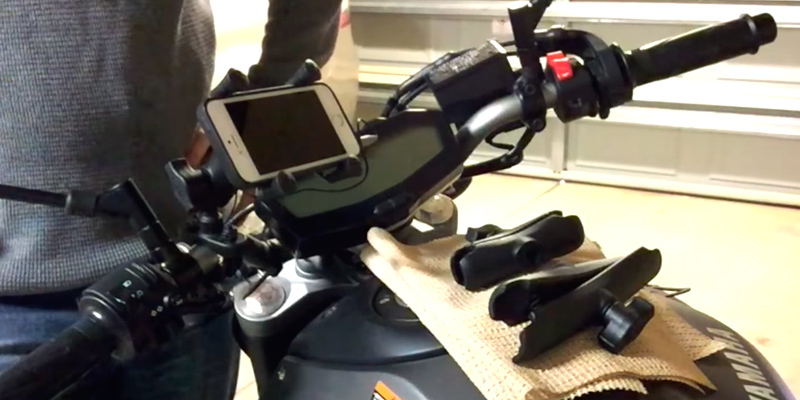 What Is a Motorcycle Cellphone Mount? It is no secret that hundreds of road accidents happen every day. And a great deal of them occurs when drivers withdraw their attention from the road to their phone. Nobody says that we should stop using our smartphones, but as soon as we need them when driving, for GPS navigation, for instance, some precautions must be taken. 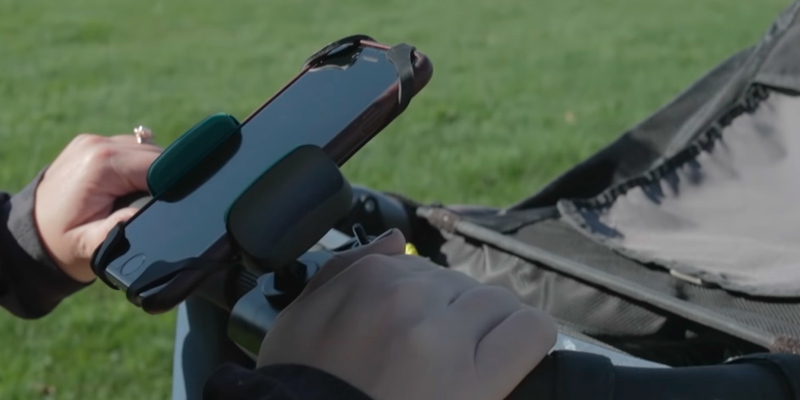 This is where a specially-designed phone mount may become a lifesaver. It holds your cell phone in front of you, under the windshield, so that you could check the way on a GPS or take a call and still stay focused on the road. 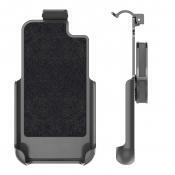 There are cell phone mounts specially produced for cars and those that you can attach to a bicycle or a motorbike. 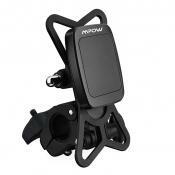 In this review, we’d like to focus on special motorcycle phone mounts. These holders are usually made from metal, ABS plastic, flexible nylon, stainless steel, etc. 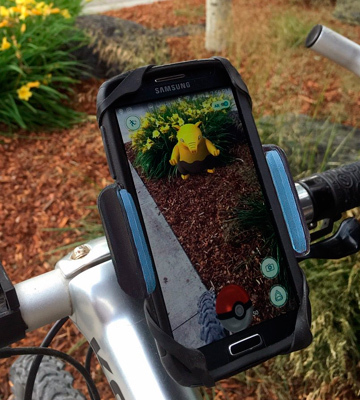 They typically have bracket grips with a rubber coating to fit your phone perfectly and sit tightly on the variety of handlebars. By the way, thanks to such a design, you can install them on any tube until it matches the clamp. Also, the phone mounts have different shapes and sizes to secure various smartphones.